This instrument details CPD obligations on licensed advisers and licensees that are covered by the Australian financial services licence (‘AFSL’) regime. For convenience we will refer to licensed advisers covered by an AFSL as ‘advisers’ in this article. 1. What are the CPD obligations of an adviser? Each adviser must prepare a CPD plan for each CPD year which can be amended at any time. Advisers had a transition period to 31 March 2019 for documentation of this CPD plan. After this date, advisers need to prepare a plan before each CPD year or, where the person becomes an adviser after the start of the CPD year, no later than 3 months after they are registered as an adviser. what qualifying CPD activities the adviser will complete during the CPD year to achieve to develop those areas. If the adviser is under a licensee then the adviser must provide the CPD plan to the licensee so the licensee can monitor its implementation. Advisers will need to complete 40 hours of qualifying CPD activities each year of which 70% (ie, 28 hours) will need to be approved by their relevant licensee. Thus, the remaining 30% (ie, 12 hours) does not need to be approved by their licensee. Advisers who work part-time may be entitled to a 10% reduction to 36 CPD hours, subject to their relevant licensees’ prior written consent. 9 hours in professionalism and ethics. If a CPD activity counts towards more than one CPD area, the activity counts towards the predominant category that it relates to provided there is no double counting of hours. 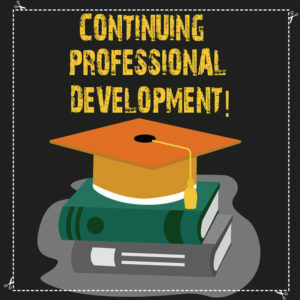 There is a 4 hour cap for CPD activity that consists of professional or technical reading and a 30 hour cap for CPD activity that consists of formal education. Given the reports from ASIC, the Productivity Commission and the Royal Commission, the minimum 5 hours of technical competence may not be sufficient, particularly for advisers that are involved in providing self managed superannuation fund (‘SMSF’) services. Under FASEA’s CPD policy, records of CPD activities, hours, etc, must be retained for at least 7 years. The adviser must make these records available to their licensee on request. The licensee of the adviser can maintain these records on their behalf. Naturally, the licensee may do this by providing a centralised CPD tracking database that each adviser can access and track their CPD hours on. 2. What are the CPD obligations of a licensee? Licensees had a transition period to 31 March 2019 for documenting CPD polices and plans. After this date, a CPD policy must be adopted by a licensee no later than 3 months after becoming a licensee. ensure records required are completed and maintained. Each licensee must publish its most updated CPD policy on its website and ensure it is accessible by the advisers under its licence. As mentioned above, licensees can maintain CPD records on behalf of their advisers. The legislative instrument also requires that the licensee make appropriate resources and opportunities available to their advisers to meet their CPD requirements. Both licensees and advisers will need to know what constitutes a qualifying CPD activity so that advisers can incorporate those activities into their plan and licensees can approve those activities and make them available to their advisers. 3. What is a qualifying CPD activity? is designed to enhance the adviser’s knowledge and skills in areas that are relevant to the provision of financial product advice and financial advice services. The above CPD requirements apply to all advisers. In particular, advisers with a limited licence are subject to the same CPD criteria as those with a full licence. 4. How can DBA Lawyers’ help advisers and licensees meet their FASEA CPD obligations? DBA Lawyers can provide structured in-house training to its clients either via an online service or ‘in-house’. Please inquire if there is any interest. DBA Lawyers also regularly presents a range of SMSF face to face and online training via DBA Network Pty Ltd (link: www.dbanetwork.com.au) that provides ongoing SMSF CPD training for advisers. This training qualifies as CPD activities under FASEA’s CPD regime. FASEA does not provide specific accreditation but each licensee can approve this training by self-assessing these CPD activities, underpinned by a published licensee policy. the 70% (ie, 28 hours) requirement of licensee-approved CPD activity, by engaging their licensee to approve DBA Network Pty Ltd’s training. Please let us know if you need any further information in this regard. make appropriate resources and opportunities available to the licensee’s advisers. Licensees can prospectively assess and approve the above training for their adviser network. Licensees can also list DBA Network Pty Ltd as an approved CPD provider on their website and other communications with their adviser network. Note: DBA Lawyers hold SMSF CPD training at venues all around Australia and online. For more details or to register, visit www.dbanetwork.com.au or call Marie on 03 9092 9400.